It actually rained today. Even though it didn’t last for very long, this was still a big deal to me and Sean because we are in the middle of a drought here in California. Also, it was nice to put on long sleeves and dress for chillier weather. 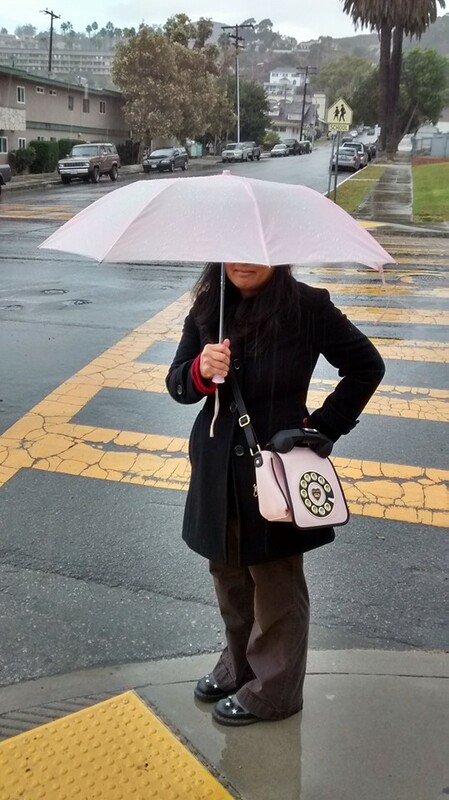 And I got to bring out my pretty pink umbrella. We walked downtown to get some lunch, and I couldn’t help stopping to take a photo of this. 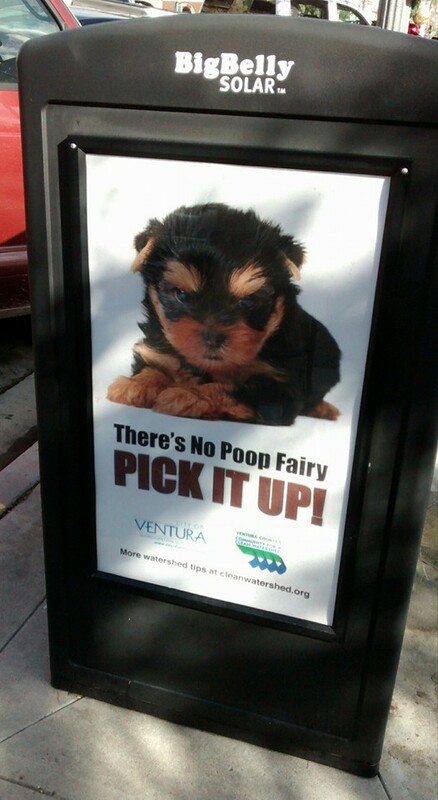 It is yet another reason why I love the city of Ventura. Hope you have been enjoying a nice weekend, as well! Categories: Adventures with Sean | Tags: rain, Sean, Ventura | Permalink. Nice! Your umbrella matches your phone!